Golf is a club-and-ball sport game which is undeniable for many golf lovers who are usually playing on the large green course and field. The game is exclusively played by top and upper middle-class people. It is an expensive sport! But who else afford this game on simply interested, there is an option that you are buying the best golf simulators for the home/garage, and practicing as like as a pro. Golf Simulators are perfect for a cost-effective way to learn the Golf game and rules. Most of the times, your friends or someone who shops for you and make a whole lot easier for buying new clothes or accessories. Isn’t it? And that’s precisely same of the subscription companies can do and curate monthly golf subscription boxes of golf accessories and apparels according to your preference and taste. Here I am providing you the reviews of best gear and accessories golf monthly subscription box that you to pick the perfect one every month and save extra money. Let’s jump it to the list of Golf Monthly Subscription boxes that you can try for this month. 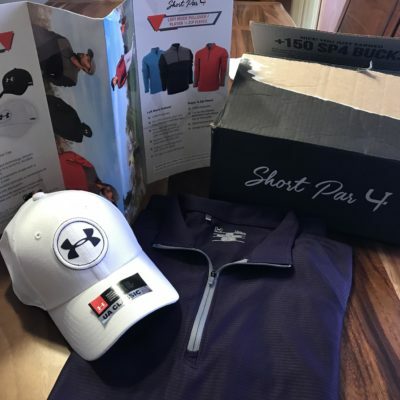 Inside of this monthly subscription boxes, you’ll receive a premium and branded golf accessories, apparels including tees, gloves, shoes, nutritional products, and much more. 1 What are the best golf subscriptions boxes in the market today? 4 What are the Short Par 4 Box categories? 6 How much does this Birdie Bundle golf Subscription boxes? 7 What are the Birdie Bundle Golf subscription Box Categories? 9 How much does this Tee up Golf Subscription Box? 11 Quick Hits that why you choose MullyBox? 12 How does it works? 13 How much does it cost MullyBox golf Subscription? 15 How much does it cost for Swing Society Golf Subscription Box? 16 How does Swing Society Golf Subscription Box works? Or Includes? What are the best golf subscriptions boxes in the market today? Short Par4 Golf Subscription is started in 2014. The box is basically comes up in fashion and trends of golf. With Short Par, you’ll get a premium brands golf accessories and apparels which is quite good and save upto 50% of retail prices for the products. 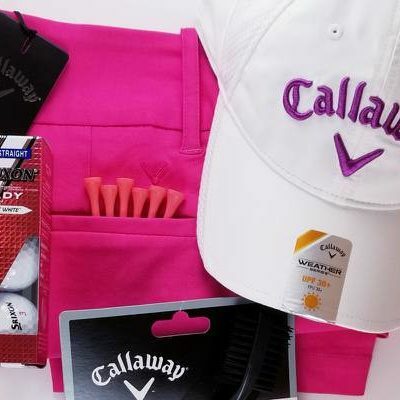 Typically comes up with branded tees and golf accessories includes Callaway, under armor, puma and much more. Each product is handpicked from experienced golfers and fit for your style and preferences. You’ll have a chance of choosing your style icon in 4 different styles: Athletics (Dustin Johnson, Zack Johnson), Loud & Wild (Rickie Fowler, Ian Poulter), Traditional (Fred Couples, Matt Kuchar), and All Style (Phil Michelson, Adam Scott). You can also choose your color and patterns which are brightly right to receive each month. $49 to $125 Per month. What are the Short Par 4 Box categories? Premium Gear from Rickie’s sponsors like Puma, Cobra and more. Birdie bundle package is perfection. Found with interest and one of the most searched golf subscription box category for till now. It has wide choice of subscribers who has given positive thumbs for the box and products. Birdie Bundle includes top branded accessories and personally handwritten letter to keep you flourish the moment. Birdie Bundle categorized into three as Men’s Bundle, Women’s Bundle and Gift Bundle. If you order for your husband or father or brother then Men’s Bundle is perfect choice. It does include primary and premium based on subscription and delivered directly door every month. If you order for Birdie bundle Combo for Men, you’ll receive primary for first month and premium for second month, then you’ll receive alternatively to keep impress yours interest. Similar of Men’s bundle types, Women’s golf subscription box is also vary from primary and premium bundles based on your interest. You can also order for combo which is alternatively to impress the golf branded accessories right out for your home. 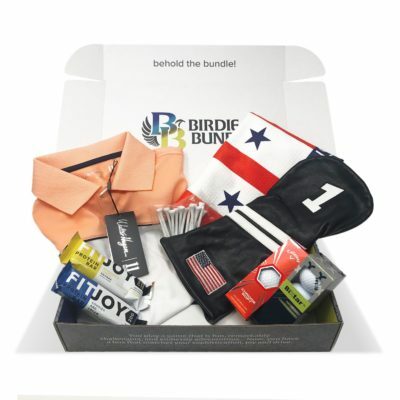 How much does this Birdie Bundle golf Subscription boxes? What are the Birdie Bundle Golf subscription Box Categories? Both Bundles will take shipping within 7-10 business days. The first bundle will be shipped on every 15th date of the month. Tee up Box is exclusively comes up for Women who loves to play golf and expecting golf apparels and accessories. A husband and Wife, Lindy and Sean who have created Teeup Box, which is basically Lindy has found good golf clothes online but lacking in reaches to her hometown of Aspen, CO.
Lindy noticed that searching women golf clothes felt like a men’s dominated sport with very little option and guidance that what to wear. This is turned into passion and created Tee-up Monthly Golf Subscription Boxes with high quality women’s fashion and accessories delivered everymonth to your door. Hope you order for your girl-friend, sister or someone you like, Tee Up Golf Subscription Box will be the right choice. There are two categories either you want to subscribe. 1. Accessories box and 2. Monthly Tee up apparel Box. How much does this Tee up Golf Subscription Box? On Course golf Accessories such as golf balls, tees, hats, gloves, towels, ball markers and bonus cards. 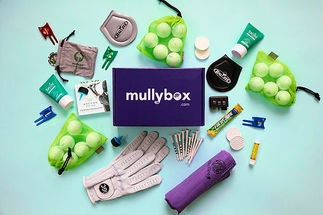 If you are looking for a great glove, pretty decent golf balls, and branded tees, you are right into the MullyBox golf Subscription Box. Formerly it was IGC and has huge subscriber based with colorful and potential value on the box. MullyBox has completely focused on presentation comparing with former IGC spot, and in addition to some of new products on every month really knocks your door that you’ll love it. 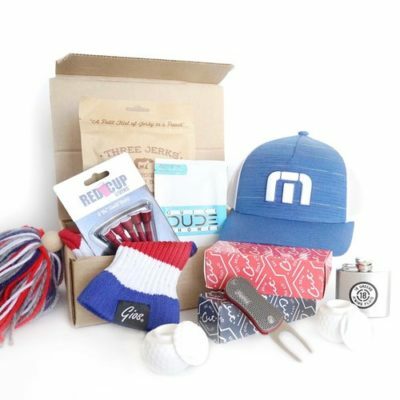 Mully Box Golf Subscription does include 6 golf balls, bag of tees and minimum of three accessories of team choices that you never expect and making you surprise that celebrating Christmas for every month you receive. Quick Hits that why you choose MullyBox? You need to fill the form by set of questions to personalize you feed. Once done, the team of Mullybox pickedup accessories including 2-3 brand golf accessories and send you the box. How much does it cost MullyBox golf Subscription? One who is looking for colourful on his/her golf monthly subscription box then, Swing Society Golf is the right choice. 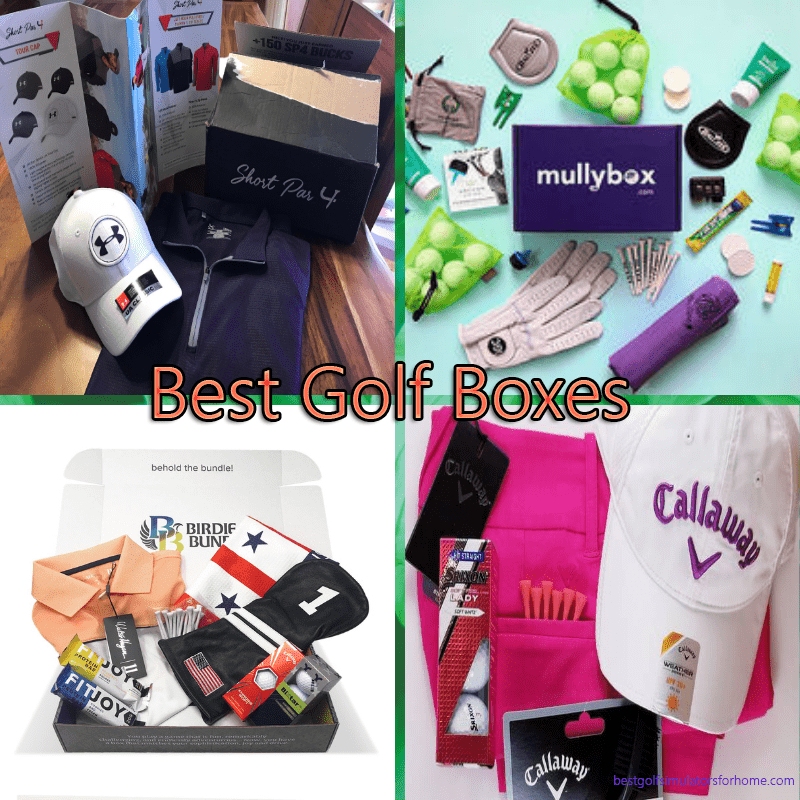 The box comes up with mix of golf apparels and accessories including the premium brands like Polo, Irons & Aces, gophers & golfers and much more and variety of socks, sunscreens, waffles, nutrition bars, sleeve of golf balls and etc. Swing Society Golf has a choice of 5th day shipment for the boxes. If you have order on 4th day, they will ship you on the next day. If you order after 5th day, then your shipment will be delivered on next month. The Swing Society golf Subscription box is ideal for who are new to the golf industry. How much does it cost for Swing Society Golf Subscription Box? How does Swing Society Golf Subscription Box works? Or Includes? It asks you the set of preferences and styles that fit for your interest. If you do love golf and hate shopping then absolutely the golf monthly subscriptions are the best one that you chose. Hope you had an idea about the famous golf subscription box from the brands and how they are personalize your feed. These brands’ box are seems not expensive which are fall between $49 to $195 and cutting off upto 70% Retail Values. Checkout all the above brands and try for one month subscription and let us your comments/feedbacks.